As people moved into and across America, many of them had one primary objective: to find a piece of land where they could start a farm and make a life for their families. Personally, I’m descended from a lot of farmers. But there are all sizes and types of farms—wheat farms, vegetable farms, dairy farms, cattle ranches, and so forth. How do you find out what kind of farm your ancestor had, what he produced, how big it was, or what it was worth? Fortunately, the U.S. government was interested in knowing that, too. Granted, their reasons were different than ours as family historians today, but their data will do just fine. 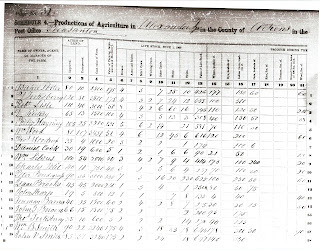 From 1850 through 1880, they compiled an Agricultural Schedule along with the regular Population Schedule for each census year. These records provide a lot of interesting detail for our family stories. 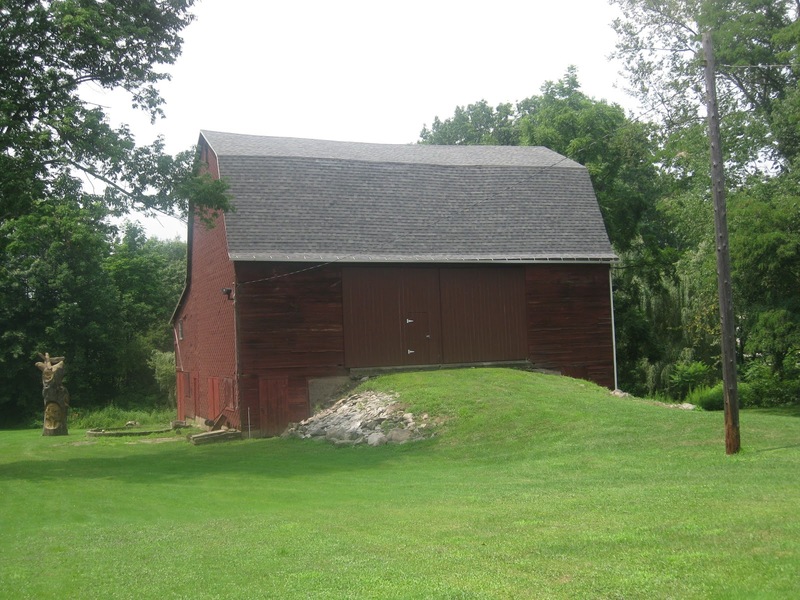 Nancy of My Ancestors and Me recently wrote a wonderful blog post about the agricultural censuses. She described what they were, what questions the enumerators asked, and where you can find them. Because she did such a fine job, I suggest you hop over and read “Farmers in Your Family Between 1850 and 1880?” now. I was quite envious to hear that agricultural schedules for some states are available online. As far as I know, none of the Ohio ones are. 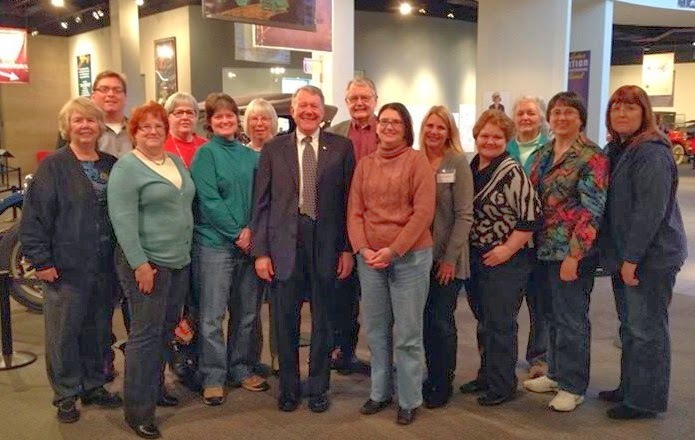 One of the largest collections of Ohio agricultural censuses (outside of the National Archives) is on microfilm at the State Library of Ohio in Columbus. Not all census years for all counties are there, but many are. I thought it might be helpful to give you a peek at this collection and a list of exactly what’s available. There is no name index for the Ohio agricultural censuses, so you need to know the county and the township your ancestor lived in to find him. You can get that information easily enough from the regular U.S. population census of the same year. Whew, that’s a lot of counties, isn’t it? 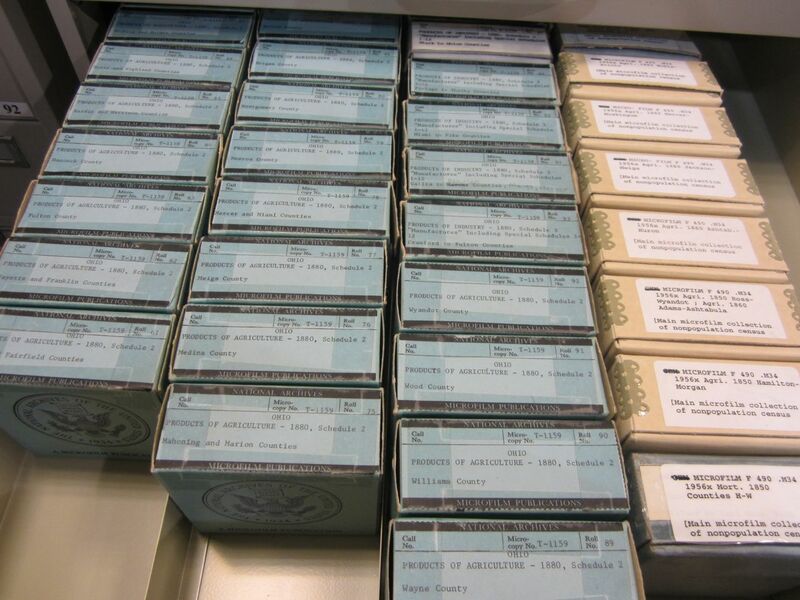 Some of the Ohio agricultural censuses are available on microfilm at the Family History Library in Salt Lake City, which means you can order them for delivery to your nearest Family History Center. To see what they have, go to the article on “Ohio Census” at FamilySearch.org. Scroll down to the Federal Non-Population Schedules, and then to the Microfilm Images category. 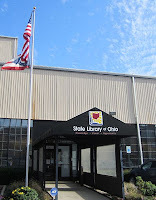 The State Library of Ohio is located at 274 E. First Avenue, Columbus, 43201. It’s open 8 am-5 pm Monday to Friday, although as with any archive, you should call ahead to confirm if you’re making a special trip. 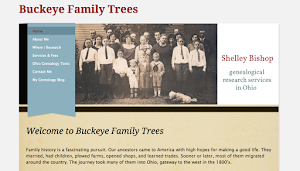 I hope this information helps you discover more about your farmer ancestor in Ohio! I will have to check out the agricultural schedules for South Carolina. On both sides, my family members farmed -- probably about 2/3 of them from 1850-1880, after the occasional dentist or lawyer. I've copied Nancy's family history link and made a note of your directions on navigating FamilySearch.org. Wish I could stop time so that I could check out all these good times right now. Thank you! Good luck with your South Carolina research, Mariann. And if you discover the trick to stopping time, be sure to let me know--I could use that, too! Shelley, adorable you!!!! I didn't know the State Library of Ohio had these records. I'm headed there as soon as I can drive again! Thanks so much!!! And thanks for referring your readers to my blog post. I appreciate it. Cool, Nancy! So glad we could help each other out! Thank you for this post. My husband's ancestors were ALL farmers who lived in Darke, Auglaize, and Shelby counties in western Ohio. I live in Indiana now, but maybe I can convince hubby to take a day off during the week to watch the kids so that I can make a special trip over to look through the archives. Glad I could help, Emily. Yes, the downfall of the State Library is that their hours are not very convenient. That's one reason I thought it would be good for people to know exactly what counties and years are available before making plans to come. 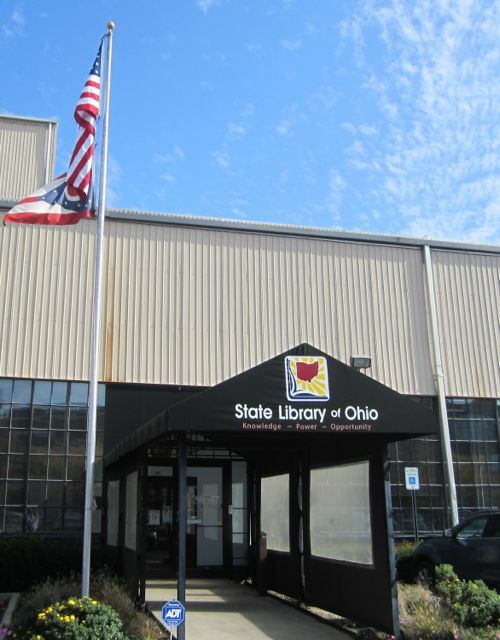 As a side note, a lot of the genealogy books from the State Library are now at Columbus Metro Library, so you may want to combine the two facilities into one trip. Click on the "Libraries" topic tag on my sidebar to find a post about CML. Hope you find a lot of interesting info if you come! I am a big fan of using the agricultural censuses to get a snapshot of my farmer ancestors. But you also need to know the limitations and problems of using the records. For example, sometimes the census taker didn't record all of the crops being grown. 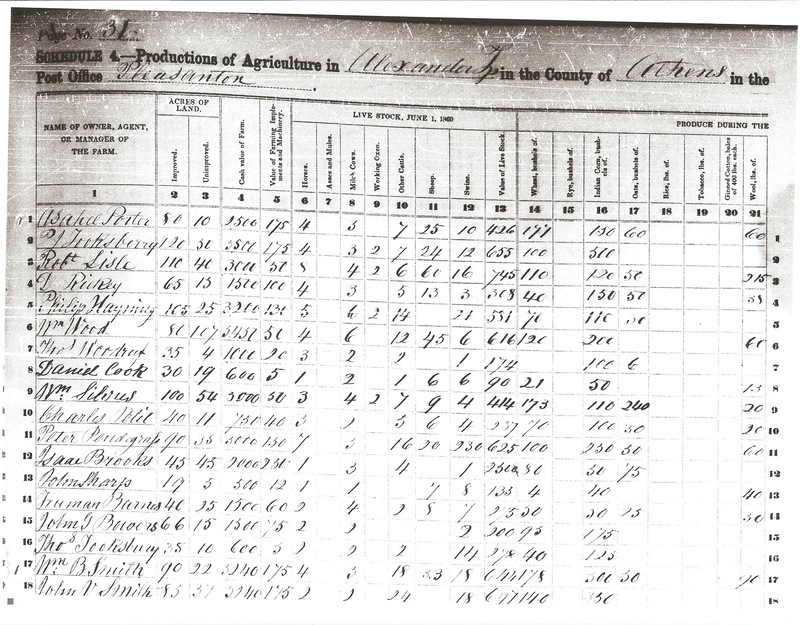 The 1870 farm census has the same problems as the population census. Agricultural practices also varied from place to place and the census doesn't always capture the full extent of the farm operations. Calculations of the grain crops they grew sometimes showed they didn't have enough to fee both people and animals. But my ancestors in 19th Mississippi, for example, made wide use of open range to feed livestock, making it less necessary to grow grain for animals. Those are some very good points to keep in mind, for sure. Thanks for reading and sharing your thoughts!